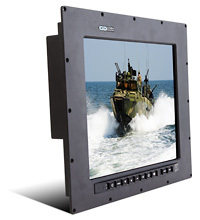 General Digital has designed dozens of value-add LCD displays, featuring our NVIS LED backlights (edge-lit and direct-lit), light optimization films and optical enhancements/overlays. 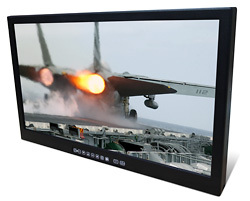 In addition to being able to request integration of our NVIS- and NVG-compatible LED backlit LCDs into our monitor products, customers may also request the integration of our sunlight readable backlit LCDs, OEM LCDs with LED backlights or third-party enhanced LCDs. Below, we have provided a sampling of fully integrated NVIS-compatible monitors that feature our enhanced displays found in the LED BACKLIGHT DISPLAYS: SPECIFICATIONS section. These examples are provided to illustrate how our NVIS LED Displays can be integrated into General Digital’s standard family of products, or into a custom configuration. Please note that most of these products feature LED backlights, and some are sunlight readable, as well. Links have been provided to data sheets, photometric data and control drawings. Please feel free to contact a Sales Engineer to help you understand these test results or answer your questions. 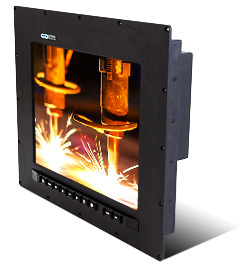 In response to customer demand, General Digital has engineered a multitude of NVIS-compatible LCD display solutions that feature OEM LCD displays and our custom-designed LED backlights (edge-lit and direct-lit), light optimization films and overlay enhancements. Our standard LCD display solutions range in size from 6.5 inch to 24.0 inch. New flat panel display sizes and resolutions, and subsequently, complete LCD monitor models, are being added regularly, or can be engineered upon customer request. 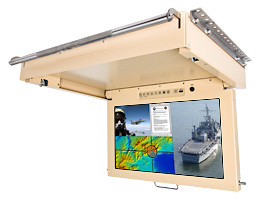 Many of our NVIS-compatible solutions are also sunlight readable. Our enhanced display solutions may be purchased “off the shelf” for integration into your own product designs, or you may opt to have General Digital technicians expertly integrate the display of your choice into almost any of our monitor and display kit products. In addition, we can design and integrate the NVIS-compatible displays into a custom solution to meet customer-supplied design and performance requirements. To provide an LED backlight with greater reliability than the OEM design. Many OEM backlights have a mean time between failure (MTBF) between 30,000 and 70,000 hours. Typically, General Digital uses LEDs that have a brightness rating in excess of 110,000 hours. To provide a more efficient LED backlight design than the OEM LED backlight that provides customer-required performance at lower power consumption/heat dissipation. This requirement is especially important for display solutions that are housed in fanless or fully sealed enclosures. To provide, in combination with our LED controllers, a wider dimming range than the OEM LED backlight/controller, as well as additional programmable functionality. Night vision goggles (NVG) take low level (undetectable by the human eye) incoming light in the visible spectrum (photons) and amplify it to a human viewable level. They also take non-visible light in the infrared (IR) spectrum and convert it to the visible spectrum. These processes occur simultaneously and are converted into electrical energy called electrons. The electrons pass through a thin disk that’s about the size of a quarter and contains more than 10 million channels. As the electrons go through the channels, they strike the channel walls and thousands more electrons are released. These multiplied electrons then bounce off of a phosphor screen which converts the electrons back into photons and lets you see an impressive nighttime view, even in pitch black surroundings. Standard monitors (CCFL-backlit LCDs and CRTs) emit high levels of IR radiation, specifically the kind that’s amplfied by night vision goggles. 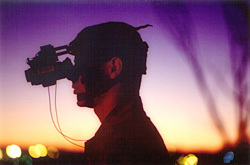 This interrupts the view of a person equipped with NVG by causing blooming (washed out view) and oversaturation, which renders the user effectively blind. This is true even if the monitor is in the proximity of the user but not in their direct field of view. 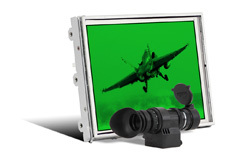 To make a display NVIS (Night Vision Imaging System) compatible, General Digital expertly re-engineers the existing display hardware to virtually eliminate the emission of high levels of IR radiation. In some instances, we install entirely new backlighting systems, whether CCFL or LED. Both approaches are fully compliant with the military specification, MIL-STD-3009. 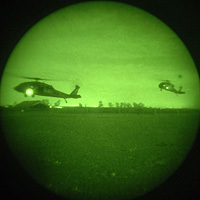 By configuring an LCD monitor to be night vision compatible, an NVG user is easily able to view information on a display screen, as well as view their surroundings, while using night vision goggles. Light-colored objects with a dull surface may appear darker through a night vision unit. Conversely, dark-colored objects with a highly reflective surface may appear lighter. For example, a shiny dark-colored jacket may appear brighter than a light-colored jacket with a dull surface. The monocle-type night vision goggles do not display normal (unaided eye) depth perception. Night vision goggles are very sensitive to reflective ambient light; therefore, light reflecting off of fog or heavy rain amplifies the light in the night vision unit and may degrade its performance. This faint hexagonal pattern is the result of the manufacturing process. A few black spots throughout the image area are inherent characteristics of night vision technology. These spots will remain constant and should not increase in size or quantity. Some light shimmering spots can arise from high-energy solar particles striking the detector and being converted into visible light. General Digital’s Sales Engineers are quite knowledgeable at determining what will best suit your particular application. Contact us today and we will be happy to take the time to understand your needs and make our recommendations. Often, users prequalify panels by how bright they are, employing the “if it is brighter, it must be better” mentality. While brightness may indeed be an important performance consideration for many applications, General Digital holds that the display’s contrast is even more important (discussed in an upcoming white paper, Contrasting Opinion; Brighter Isn't Always Better). Ultimately, it is the user’s ability to discern a difference between colors (contrast) that enables them to properly view information under varying lighting conditions—from total darkness to direct sunlight. OEMs provide the contrast performance of their LCDs in dark room conditions within their display specifications. While this information is an important indicator for consideration if the LCD is to be used indoors, it provides an inconclusive indication of how well the LCD will perform when exposed to high ambient lighting conditions (read our white paper, Not All Brightness is Created Equal). 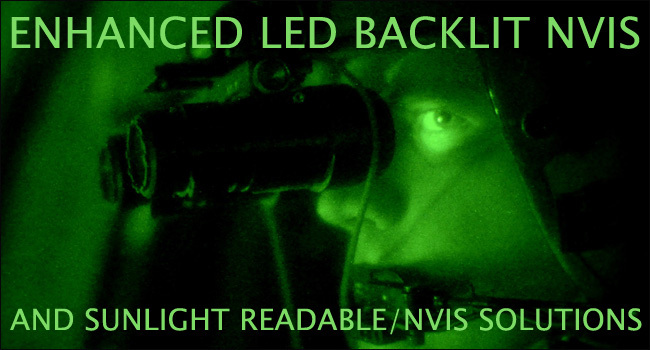 For this reason, General Digital quantifies the performance of our LED enhanced LCDs in our Optics Laboratory following the guidelines of MIL-STD-3009 (formerly MIL-L-85762-A). 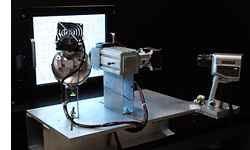 General Digital’s Optical Laboratory was created to provide quantification of the optical performance of an LCD under a variety of extreme ambient conditions along with raw intrinsic system characteristics. The data provided by the laboratory tests allows for numerical performance descriptions of each LCD display system. This enables the customer to compare displays across the entire General Digital display catalog and provides the ability to choose the correct product for the target environment while removing guesswork. To ensure accuracy and cross correlation, sunlight and NVIS measurements adhere to procedures and regulations outlined in MIL-L-85762A, and its successor, MIL-STD-3009. Other applicable measurements adhere to procedures and regulations outlined in “Video Electronics Standards Association Display Metrology Committee” (VESA) Flat Panel Display Measurement Standard Version 2.0 (June 1, 2001). On the NVIS DISPLAYS: SPECIFICATIONS tab, we provide a table that summarizes our LED solutions (see sample below). Within the table, you will find a part number for each display configuration listed. As changes are made to a baseline configuration, General Digital will assign a new and unique part number to the resulting configuration. In addition to the part number, a variety of data is supplied for each display configuration. 3 To be discussed in forthcoming white paper, “Contrasting Opinions – Brighter Isn't Always Better”. The metrics outlined above represent most common conditions; however, due to General Digital’s vast array of capabilities, experience and equipment, many more display measurements can be performed (see XXXX “Display Measurement Report”). Should further assistance be necessary, a Sales Engineer can be consulted for additional clarification. Minimum and maximum brightness levels for standard/sunlight readable luminance. 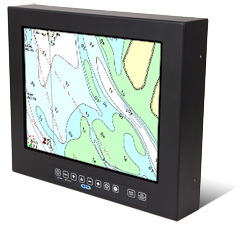 In the table below, General Digital has provided a list of our NVIS-compatible LCD displays that our design team has engineered for your purchase, or integration into one of General Digital’s many standard, semi-custom or custom products. All of the displays listed feature either an “edge-lit” or “direct-lit” LED backlight, making the displays ideally suited for use where NVIS compatibility is required. In many cases, our LED backlight solutions also are sunlight readable or direct sunlight viewable. 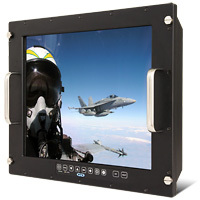 The combination of these two performance abilities makes these enhanced displays great candidates for military and avionic (e.g., cockpit displays) applications, or other industrial applications that require NVIS compatibility. Lastly, a link to a photometric report has been provided that will summarize and compare the optical performance of the OEM LCD before our enhancements and improvements, as well as after. Much of this data has been performed under the guidelines of MIL-STD-3009. 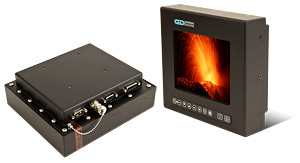 In some instances, General Digital has also included optical data for multiple test configurations of the same reference LCD. For more information, please see the NVIS DISPLAYS: OVERVIEW section.